With Apple discontinuing support for many popular media codecs in the next release (after Mojave) of the macOS, it is more important than ever to determine what codecs your media uses. 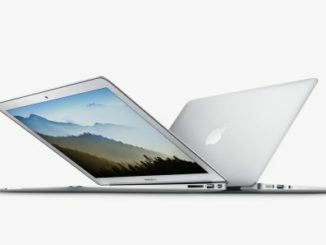 NOTE: Here’s the Apple KnowledgeBase article describing what’s happening. CODEC: ALL media uses codecs. These are the mathematics that convert light and sound into binary ones and zeros that allow us to store and playback images and sounds on our computer. Short for “Compressor/Decompressor”, common codecs include MP3, WAV, JPEG, PNG, H.264 and ProRes. There are hundreds of codecs, each designed for different tasks. As I was writing this article I discovered something interesting. 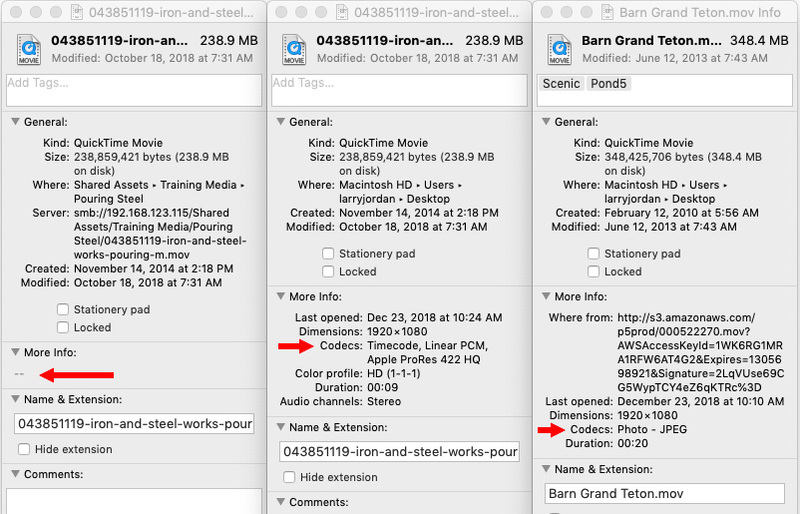 In the screen shot above, you see three files with their media information displayed in the Finder. 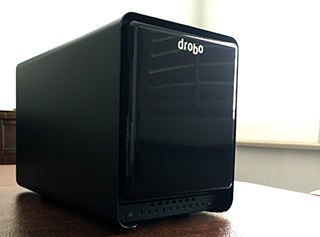 The two files on the left are exactly the same – except one is stored on a Synology server and the other is stored on the internal hard disk of my Mac. Notice that More Info on the server version (far left) is empty, while More Info for files stored locally displays the codec as well as other media information. I have no idea why the Finder can’t get this information from the server. To display this window, select as many files as you want in the Finder then, either choose File > Get Info or type the shortcut Cmd + I. The Codecs field describes the media format for both audio and video elements of the file; audio and video files never use the same codec. NOTE: You’ll soon see that this Cmd + I shortcut is used in multiple applications. The benefit to using the Finder to determine codecs is that, unlike QuickTime, you can select and view multiple files at the same time. Choose Window > Show Movie Inspector (shortcut: Cmd + I). Data rate shows the bit rate of the media. Larger numbers, in general, mean higher quality. Motion JPEG B is one of the codecs that Apple is removing in the future. In other words, after Mojave, this file won’t open or play. NOTE: QuickTime Player 7, like many of these codecs, also won’t work in the next version of the macOS. When you try to open this same Motion JPEG B file in QuickTime Player, the file is automatically converted into a different codec – H.264. The problem is that you don’t have any control over which codec this file gets converted into. 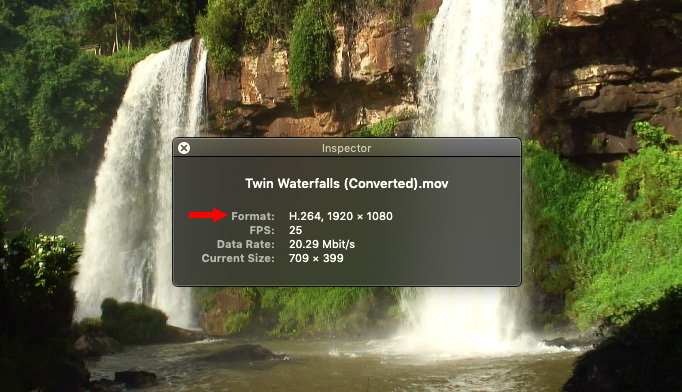 In fact, QuickTime Player can’t even open the source file, it must convert it first, then open the conversion. Here, we are not seeing the source file, we see the converted file. H.264 is highly compressed and, at lower bit rates, can display artifacts. While this file is converted at about 20 Mbps, which is quite high, H.264 is still not a good format to use for editing. ProRes or AVC-Ultra would be a better choice, but QuickTime Player does not allow us to choose the format a file is converted into. 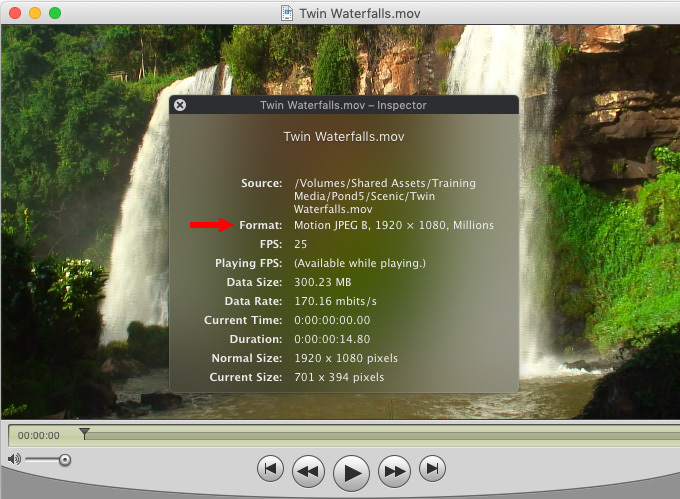 For this reason, I don’t recommend using QuickTime Player for media conversion. 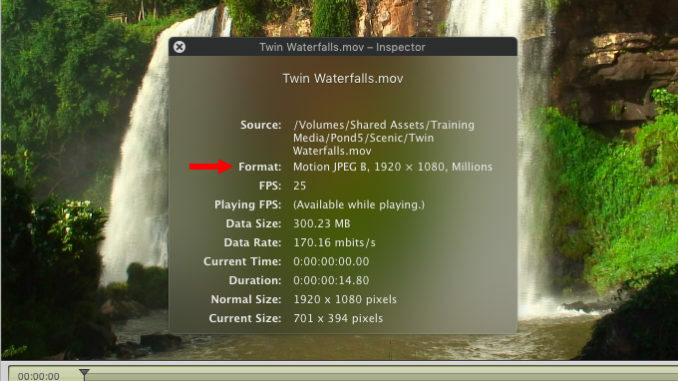 Here’s another example – Photo JPEG – also displayed in QuickTime Player. While this format does not need conversion, it is also not listed on Apple’s webpage as either supported or unsupported in the future. Assume the worst, until we know more. NOTE: Many stock footage clips use these older codecs. 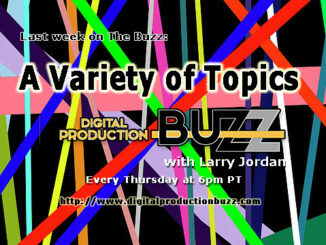 A good place to start looking for problems are any stock footage clips you are using in past projects. Read on how to find your codecs in Apple Final Cut Pro and Adobe Premiere, as well as Larry’s conclusions, over at LarryJordan’.com here.